We not only report on data, we put it to the test. Our data scientists and machine-learning algorithms analyze tens of millions of data points daily so we can predict outcomes. And we don't stop there-we put data in the forefront so employers have the insight they need to hire the best talent fast. pandoIQ Analytics Portal provides complete transparency into job ad campaign performance so employers aren't kept in the dark. The portal can measure true campaign effectiveness and ROI from the job advertising spend—at the job level and across all jobs. By consolidating data from all traffic sources, pandoIQ can provide up-to-the-minute performance reporting on job views, applicants, conversion rates, and average cost-per-applicant. 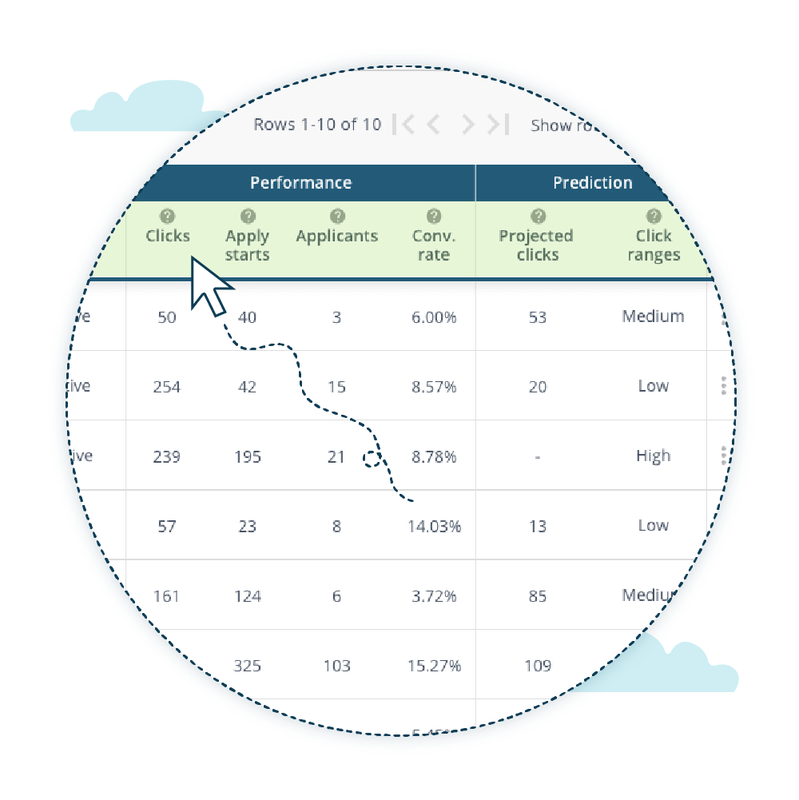 In the Analytics Portal, view daily the expected total clicks and applicants for your job ad campaign cycle. As the campaign cycle progresses and job inventory changes or updates are made to priority, pandoIQ’s programmatic campaign algorithms automatically adapt campaign strategies to stay on course so you can rest assured that you are getting the most from your spend. 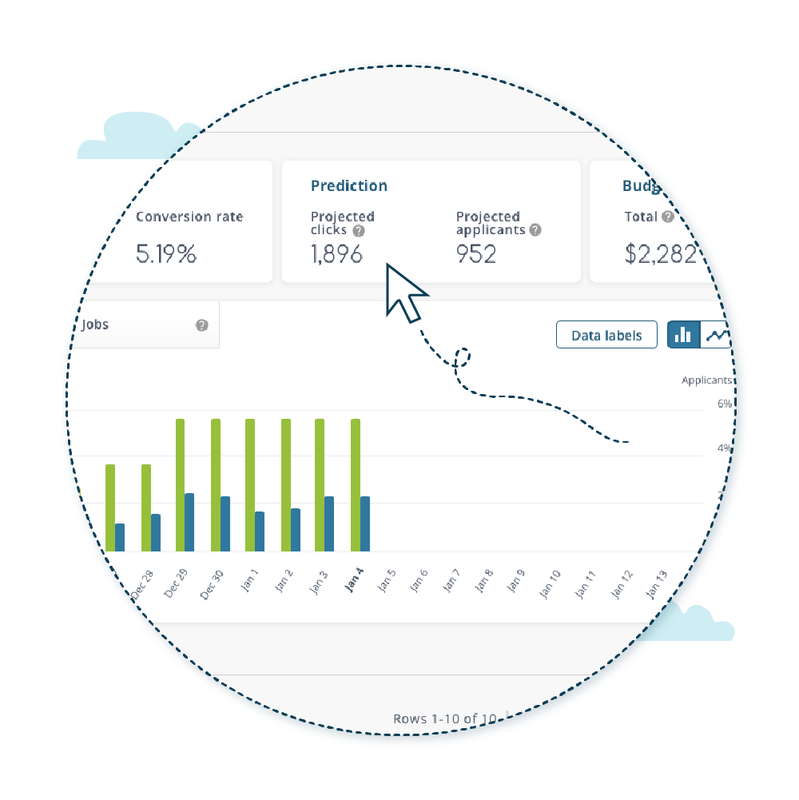 This is reflected in your campaign prediction projection giving you a more accurate prediction to monitor your campaign performance. 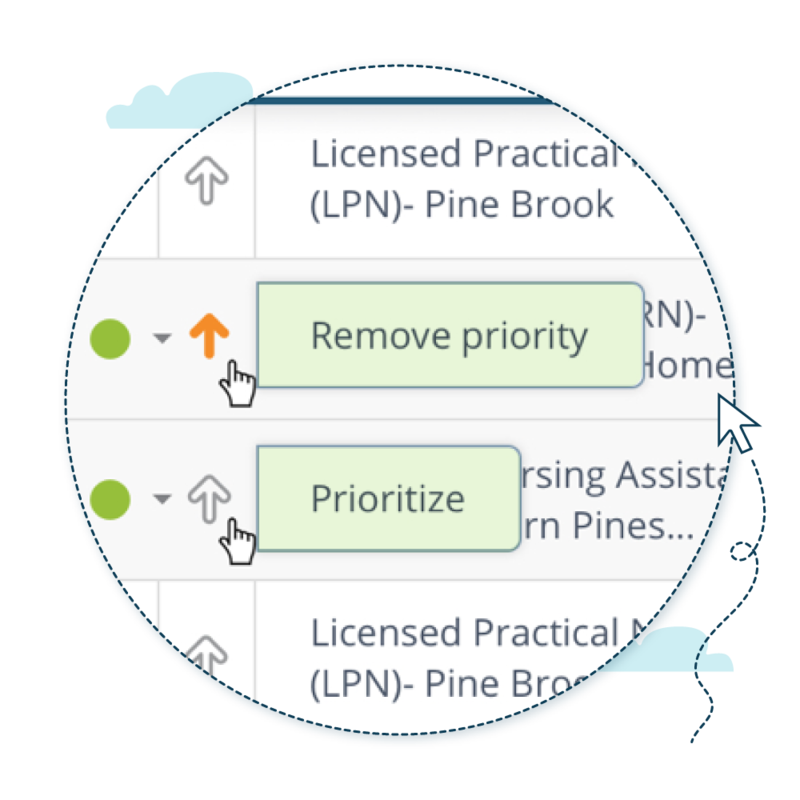 Not only does the analytics portal provide real-time insights, it also lets you take action when needed. See a job won't perform well online, hand it off to a recruiter before you spend a dime. Have a job that needs extra special attention give it a boost by setting it at a higher priority in the portal. Found the right candidate for the job, deactivate the specific job so it will no longer be campaigned. pandoIQ automates the entire job advertising process but puts you in control when you want.